First cut a 6" x 9 1/2" piece of pink card stock and fold it in half for the base and a 4 1/2" x 5 3/4" piece of white for the front. Then color the stamp w/the dots in the following Stampin' Up! colors using a blender pen and ink pads: Old Olive, Daffodil Delight, Melon Mambo, Island Indigo, and Blushing Bride then stamp it on the white card stock, repeating till the background's complete. 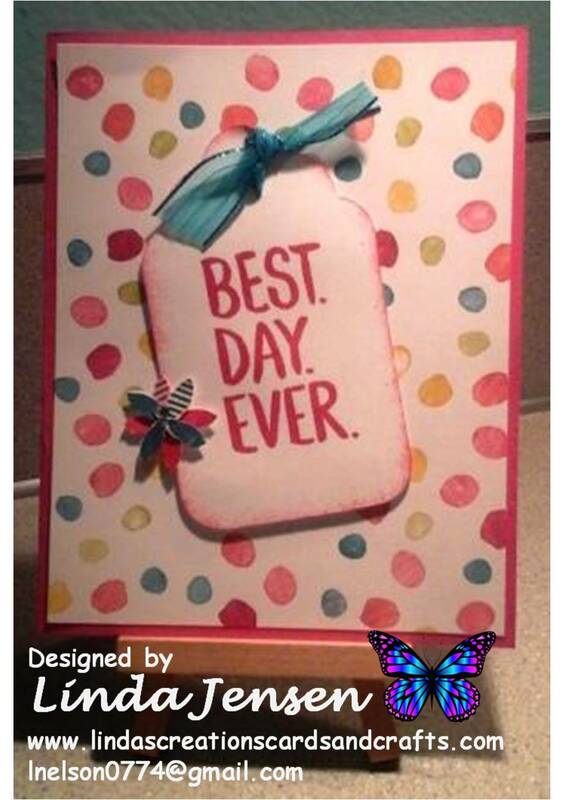 Next cut out the tag for the sentiment with a Sizzix Tags, Scallop Combo #2 die, sponge the edges with Melon Mambo ink then using a Stamp a ma jig stamp the sentiment, add the ribbon and attach the tag to the front layer with mini pop dots. 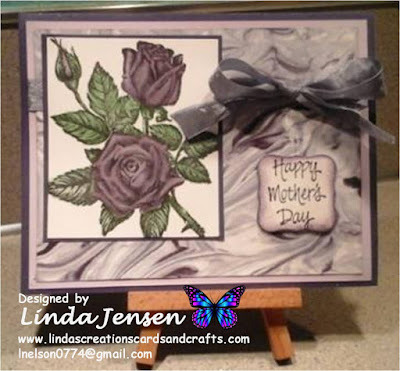 Then stamp the flower twice on another piece of white card stock one in Island Indigo and the other in Melon Mambo, cut them out with scissors or an exacto knife, attach them to each other with a mini pop dot then to the front layer with another mini pop dot. Next add the self-adhesive rhinestone to the flower's center, attach the front layer to the base and enjoy!